If that's the case, let me share some of my skin care advice and perhaps we can get some of those questions cleared. First let's get one thing clear: there is no specific age or date you should definitely start using anti aging products. It all depends on your genes, lifestyle, preferences and also on your skin type. Some people have great genes and look like teenagers into their 40s, the rest of us must take care of our diet, exercise plan and stay non-smokers to reach the same effect (and even then there's no guarantee). People with oily skin or a few extra pounds usually look younger for longer, but thinner people and people with dry skin need to start taking measures (like using age-defying skin care products) against the signs of aging earlier. So when do you personally need to start using anti aging cream? My skin care advice is to start when the first fine lines start to appear, usually around the eyes or mouth. Depending on the factors listed above, this could be when you are 21, or it could be when you are 31 or even older. Keep an eye on your face and take action as soon as you see the first wrinkles-in-the-making. Some people recommend taking precautions before any signs of aging are visible, but in my view this is not necessary, as there hasn't been any scientific proof that it would postpone the appearance of wrinkles. 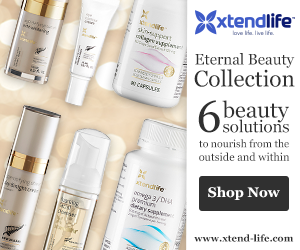 Of yourse that doesn't mean you don't need any skincare, but only that you don't need specific anti aging products before you have visible fine lines. But what anti aging products should I use, you ask. Again, you need to look at yourself and your skin to decide. Most people can start with an anti aging day cream and a facial wash with youthful skin benefits. But if you have very dry skin, you might want to use an anti aging night cream right from the start. Using masks every few weeks is also a good idea - at first you can use any (all-natural) masks and later on move to ones with more juvenating ingredients like DermCom or Alpha-tocopherol. What if I am over 40? In my experience around the age of 40 people should start using the full repertoire of skin care products with powerful anti aging ingredients to get the best results. Up to that age - try a routine out and see what works for you ("work" meaning what really reduces the fine lines and wrinkles and keeps new ones from appearing). So take this skin care advice and see what works for you. To learn more about natural skin care, the best ingredients in anti aging products and what companies use them, educate yourself! After all, knowledge is power! For a quick start why not read a few more articles on my site here or shop natural anti aging products!